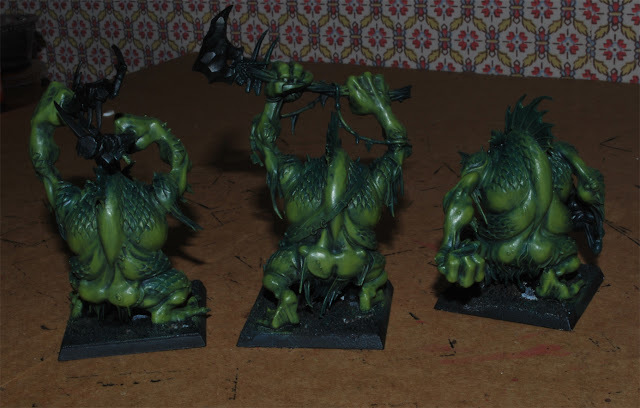 With lots on the go and not enough blogs posts I thought I would try and post a work in progress report and thrown up some quick pictures of stuff I have in the pipeline at the mo. 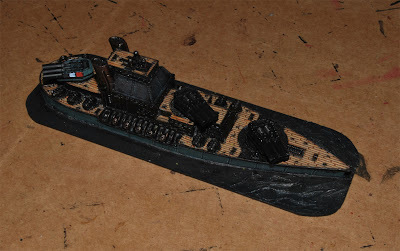 Bear in mind these quick snapshots may not shown the full detail or colours of anything shown. 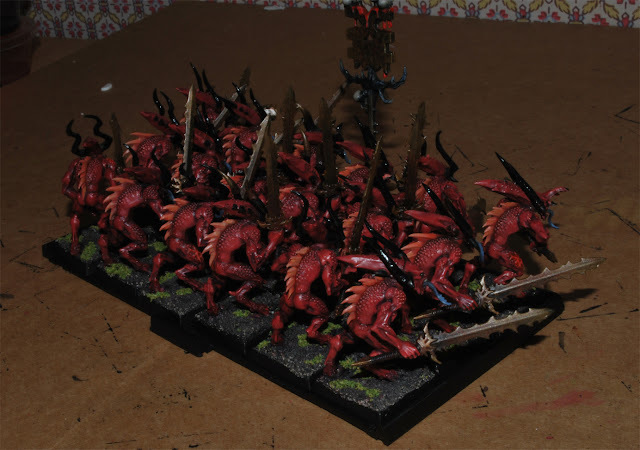 Bloodletters! You can find the conversion/construction/ranking post for these in the archive. After a long time I get round to finishing up the paint job. 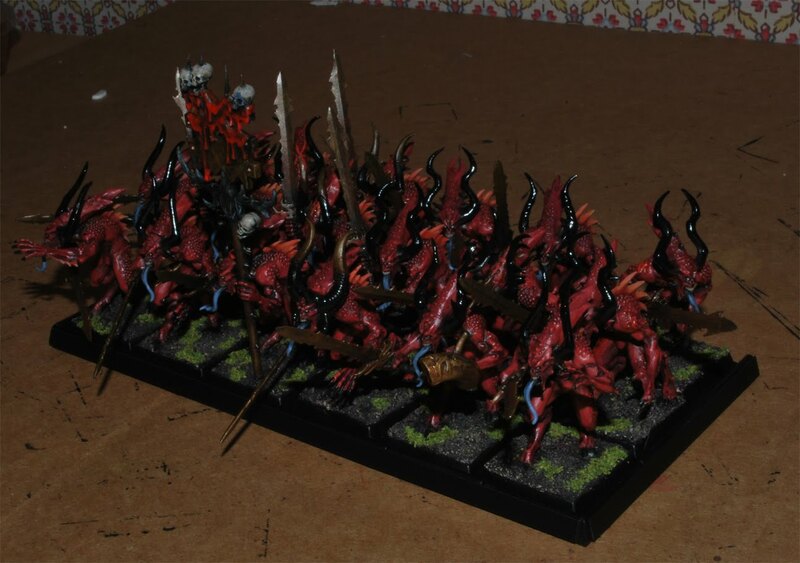 These should be up on ebay soon with plenty more pics. 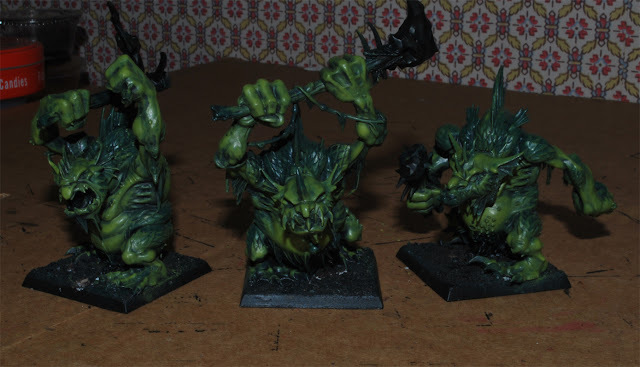 Trolls, fantastic models and great fun to paint. This is the primary greens practically finished, thanks to the Foundry paint set for the Bottle Green and Phlegm Green tones. 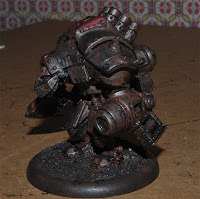 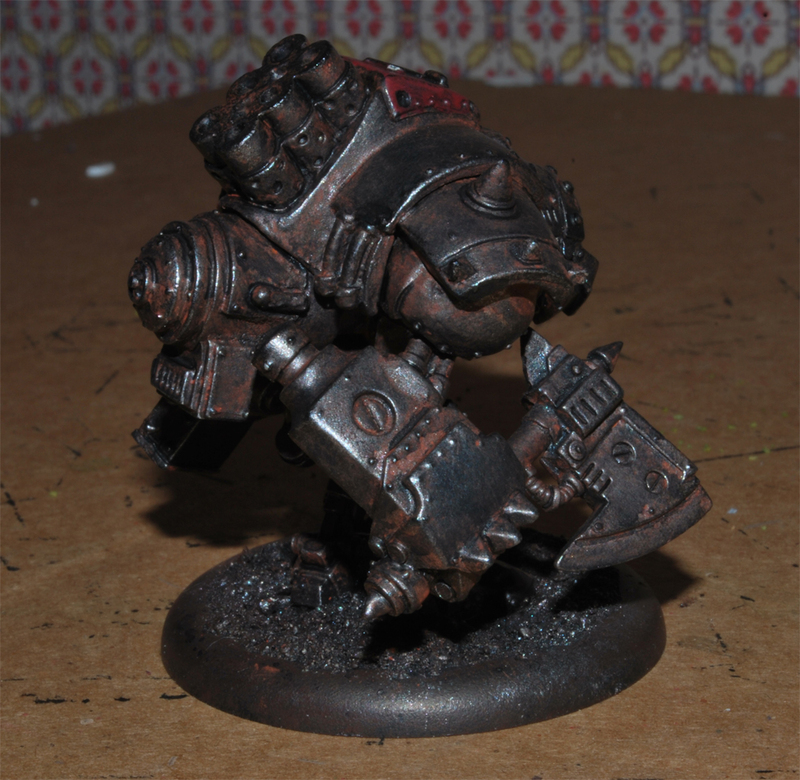 Straying from the fantasy, this is a weathering trial for my first Khador Warjack. Layers of MIG rust and washes for the effect so far. 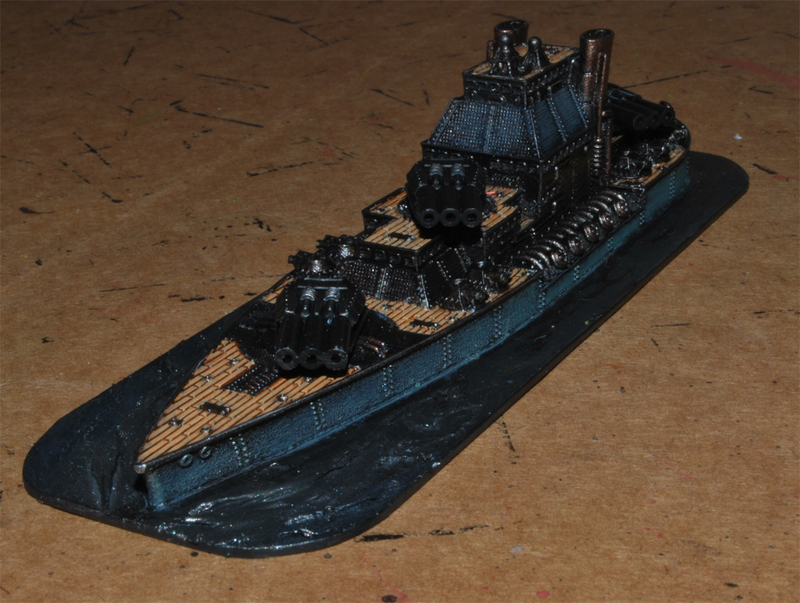 Even further from fantasy, this is the customized Prussian Battleship for my Dystopian Wars fleet. Lastly quite a large terrain table project just got underway today with a mass of Ice/Snow/Tundra scatter pieces. 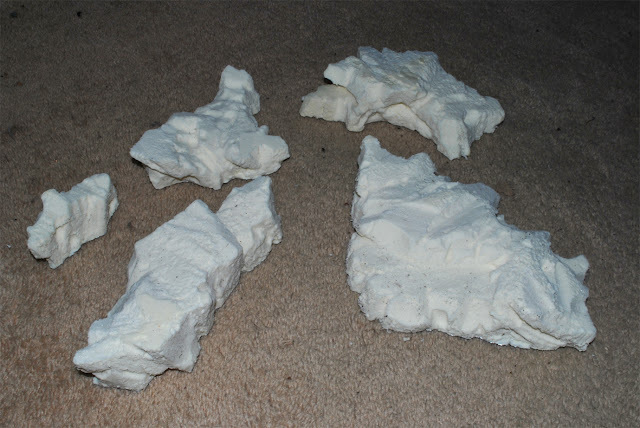 Foam is great fun to carve!! 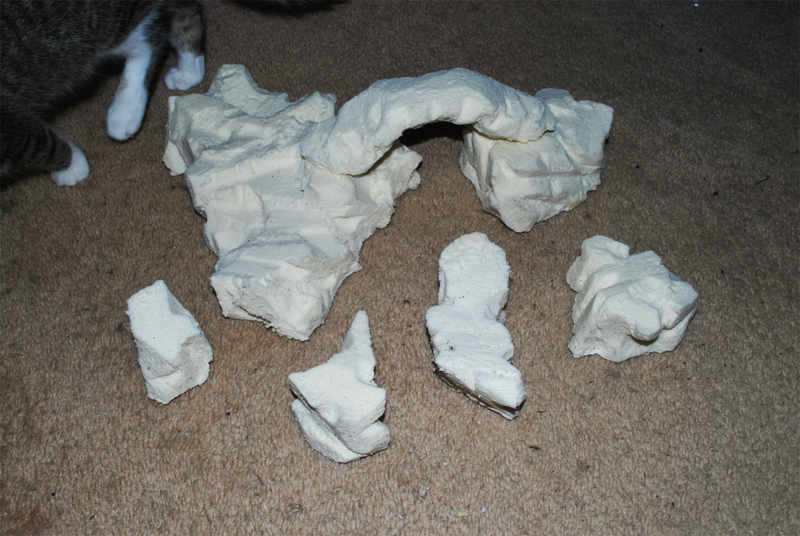 The scale and size of these may be hard to gauge, Mazzy is a small cat if that helps on the bottom pic.